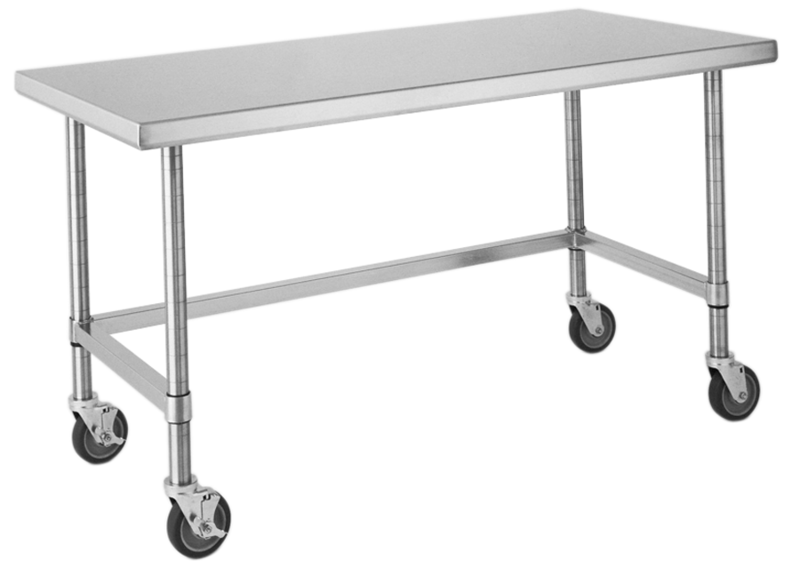 All of our mobile stainless steel tables are 30″ wide x 34″ high. Choose from length of table — 48″, 60″, 72″ or 96″ long. Mobile units have special posts and four 5″ polyurethane casters — 2 swivel and 2 with brake. Choice of bottom configuration — solid bottom shelf or 3-Sided Frame or H-Frame.